During her report, CBS's Nancy Cordes noted that "Planned Parenthood, which also provides abortion services, is a long-time target for social conservatives, like New Jersey Congressman Chris Smith." However, she did not give Rep. Jackie Speier, who has a 100% rating from NARAL Pro-Choice America, an equivalent ideological label. The correspondent merely identified her as a "Democrat." The following morning, both CBS and NBC continued their coverage of the controversy between Komen and Planned Parenthood. On Thursday's CBS This Morning, Cordes filed a follow-up report, but this time, left out the ideological labels for politicians on both sides of the debate. CORDES: Planned Parenthood's history of providing abortions has earned it some powerful opponents. NEWT GINGRICH, (R), PRESIDENTIAL CANDIDATE: It is the largest abortion provider in the United States- period. CORDES: On Capitol Hill, Florida Republican Cliff Stearns has launched an investigation into Planned Parenthood's use of taxpayer funds. The Komen Foundation says that investigation was a factor in their decision. Democrats called the investigation a partisan witch hunt that will go nowhere. REP. JACKIE SPEIER, (D), CALIFORNIA (from speech on the House floor): Last time I checked, we were all presumed innocent until proven guilty. It should be pointed out, however, that she later identified a vice president for Komen as being "anti-abortion." On NBC's Today show, as pointed out by the MRC's Kyle Drennen, chief medical editor Nancy Snyderman tried to meld the Planned Parenthood controversy with the firestorm over Mitt Romney's "not concerned about the very poor" remark. Since January 20, the day that the Obama administration issued its health care mandate, there has been only one brief mention of the issue on the Big Three networks' morning and evening news programs. 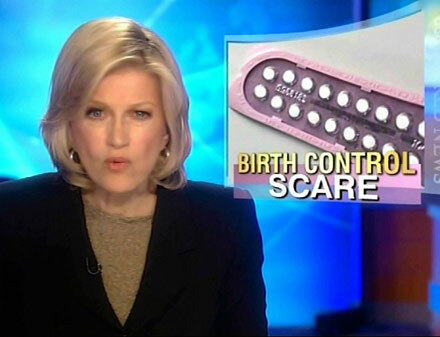 On January 30, CBS This Morning anchor Charlie Rose cited a story from the USA Today that "says Catholics blast federal birth control mandate."